The main payload onboard the balloon consisted of SoRa (Sounding Radar) a synthetic aperture radar with a central frequency of 163 MHz and with a short impulse connected to a down-looking Yagi-type emitting antenna with a gain of about 13 dB. It is a system similar to the one flown in several Mars exploration missions. 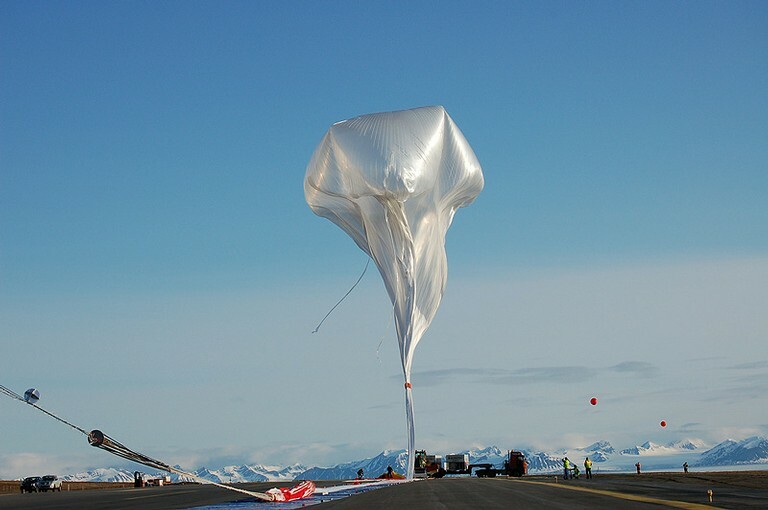 The objective of the SORA balloon test was to calibrate both the hardware and software of the instrument, to test the inversion algorithms in the penetration radar for planetary exploration and finally to acquire data during the fly over known ice surfaces structures, which will be used as a reference for the process of improving and further developing the radar in conditions very close to operational. At the same time the data obtained in flight will help to deepen the knowledge about the geo-morphology of polar areas covered with ice, permafrost, and plutonic and sedimentary rocks present in the subsurface up to several kilometres in depth and with a resolution up to 15 metres. DUSTER (Dust in the Upper Stratosphere Tracking Experiment and Return) developed by the University Parthope of Naples, which was first launched by ISTAR from Svalbard during the 2008 summer campaign. 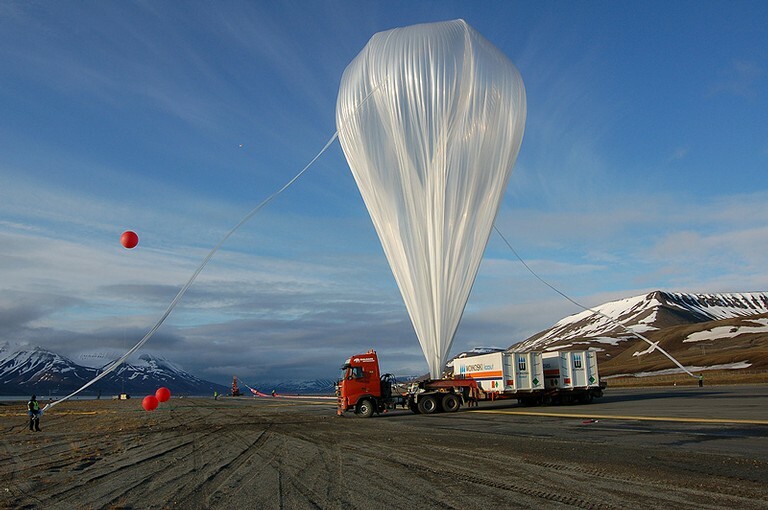 The objective of DUSTER is to collect stratospheric aerosol samples and return them to the laboratory where abundance, size distribution, composition and mineralogy can be measured for each class of materials collected. SIDERALE a technological development by the National Institute of Astrophysics in Milan aimed to test a detector for future applications in high energy astrophysics. It is based on a CZT (Cadmuim-Zinc-Telluride) solid state sensor. The detector had been measuring X and Gamma radiation for the whole flight according to dynamically set operating modes, storing the data on board and partially transmitting it in real time to ground for a quick look. That was possible thanks to BIT (Bi-directional Iridium Telemetry - see bellow) a system developed at IASF Bologna which enabled SIDERALE team to monitor and control all functionalities of the instrument. ISA an experiment developed at the National Institute of Astrophysics Tor Vergata, at Rome, to perform measurements of the inertial and gravitational accelerations as well the pendulum oscillation and rotation acting on the gondola during the balloon flight. It will help to obtain key information in order to determinate the most favorable condition for the release from stratospheric altitude of the GiZero microgravity capsule being developed as part of GReAT (General Relativity Accuracy Test) which is an ASI/NASA experiments to test, with high precision, Einstein's General Relativity theories. 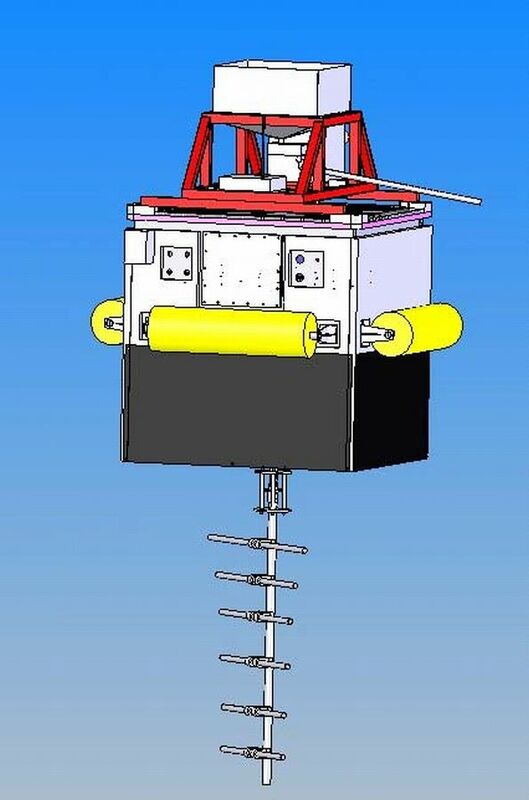 PIC-CR developed at University of Rome, La Sapiensa consisting in a small experiment to test the operation of PIC 16F887 micro-chip in the stratosphere, in the presence of a strong background of cosmic rays. The experiment is able to reset itself in case a cosmic ray event hangs the operation of the program and stores the number of resets in its internal memory. In this configuration the experiment needs to be recovered to read the final number of resets after the mission. Finally was also included the BIT (Bi-directional Iridium Telemetry) module, an integrated system to provide both Telemetry/Telecommand continuum link and power supply management for Long Duration Balloon experiments, realized and tested by using Iridium platform. This development is based on MSITel an electronic platform that has been built by LEN srl under specifications from IASF-Bologna in charge of the development. 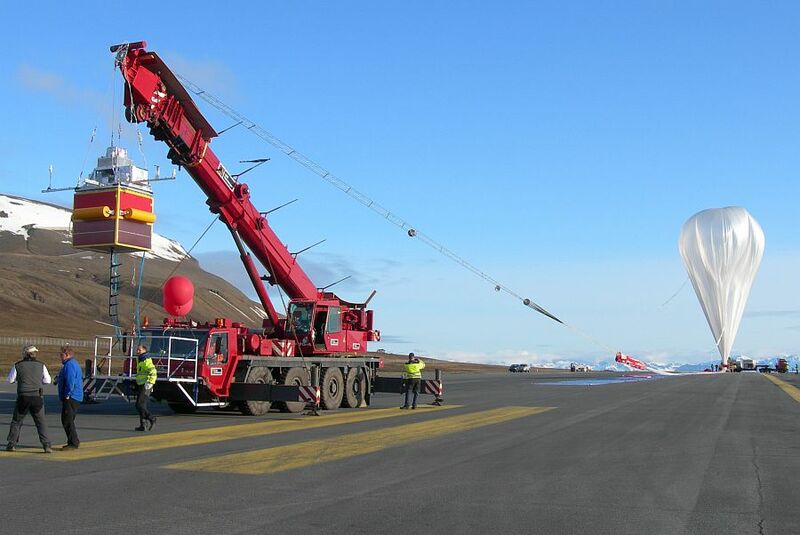 The balloon was launched early in the morning of July 1st, 2009 from the airstrip at the Longyearbyen airport with the help of a big crane which acted as launch vehicle. 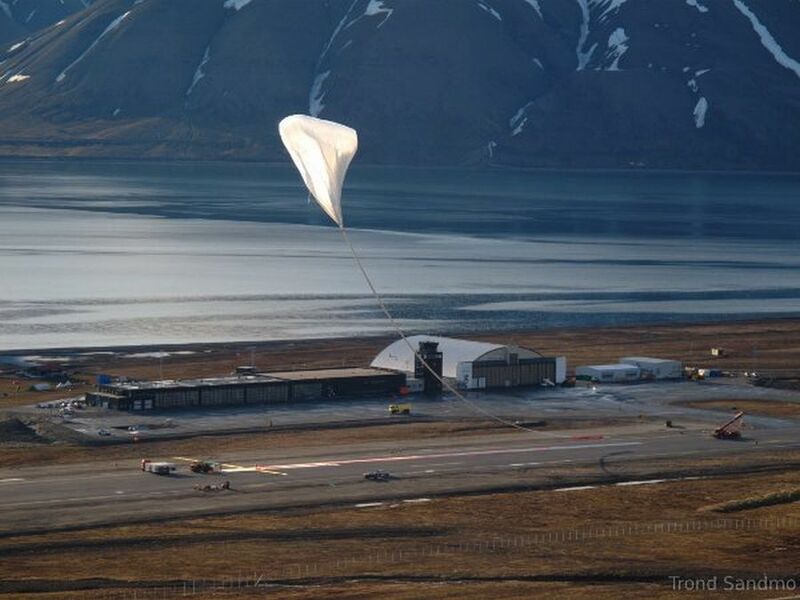 The balloon climbed up to the floating altitude of 38 km, and followed a westward flight path at that altitude until reaching eastern Greenland were the balloon was remotely valved down to 37km as requested by the Italian experimenters. After crossing the Greenland Ice Sheet the craft continued on to Baffin Island, Canada where the flight was terminated. Total flight time was of 4 days at float. The payload impacted in an upright position, only 40 km from an airfield at coordinates 72º 42' 784 North 82º 23' 400 West apparently unharmed. Nevertheless, once in the spot the recovery team found that the gondola burned out some time after landing. 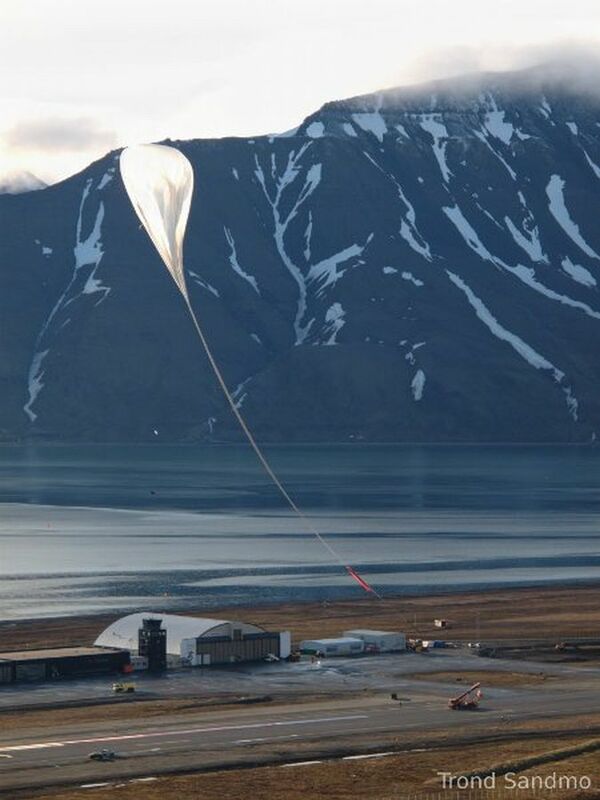 This mission was the 13th balloon launched by Nobile/Amundsen Scientific Balloon Center in Svalbard, and also was the largest balloon ever launched there. The operations were managed by Steven Peterzen of ISTAR (International Science Technology And Research - Pagosa Springs, Colorado, USA) along with a team of people from LNS, Italian Space Agency, Andoya Rocket Range and the University of Rome La Sapienza. When the payload was located by the recovery team they found that it burned out some time after landing. Still we have no data on the origin of the fire. Nevertheless, the data was stored on hard disks and was not affected by the incident.